With the Hunter Douglas PowerView® Motorization system, you can program your blinds and shades to open, close, tilt and traverse throughout the day…even when you are away from home! You can use a PowerView® Pebble® remote, smartphone or tablet to program the window treatments. 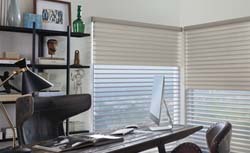 Let your blinds work for you by adding motorization to your blinds or shades. 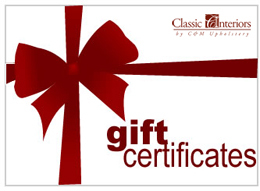 Let the experts at Classic Interiors demonstrate how fast and easy it is to program your blinds and shades. 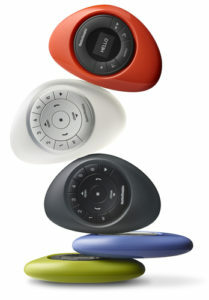 You can use this innovative new wireless motorization option with a PowerView Pebble remote or with the PowerView App. Our motorization experts can teach you how to program your shades to protect your interior against heat and sun while maintaining your view. 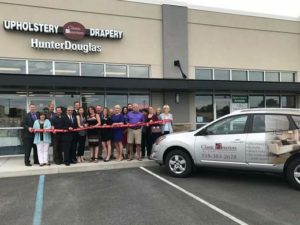 Programming your window coverings can even give the appearance of being at home while you’re out of town. With the new PowerView Motorization App, you can preset your blinds to operate together or as a small group or individually. 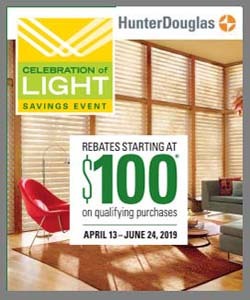 Try programming your blinds and shades based on the season to ensure maximum daylight and to save energy at the window. You can also connect with the system when you are out of the house. The Remote Connect™ feature, along with an Internet connection, allows you to control your blinds and shades from anywhere in the world using your smartphone or tablet. In addition to operating your blinds and shades with the PowerView App, you can also use the all-new PowerView Pebble Control. This easy-to-use, ergonomically designed remote offers a sleek design and color options that fit beautifully into any décor. If you have young children or pets, we strongly recommend that you consider motorization. Motorized blinds and shades are cordless, which eliminates dangling cords. Our design team will explain all of the products available with this system. Most PowerView motorized window coverings are battery-operated, which makes them easy to install, maintain and operate. The battery pack is hidden behind the headrail, so nothing clutters your window coverings. Contact us today to meet with a design consultant or to learn more about the Hunter Douglas PowerView Motorization options for your home. We provide in-home appointments in Saratoga, Albany, Schenectady. Rensselaer, and Warren Counties, including Clifton Park, Mechanicville, Halfmoon, Saratoga Springs, Loudonville, Latham, Lake George, and Bolton Landing, NY, and surrounding areas.